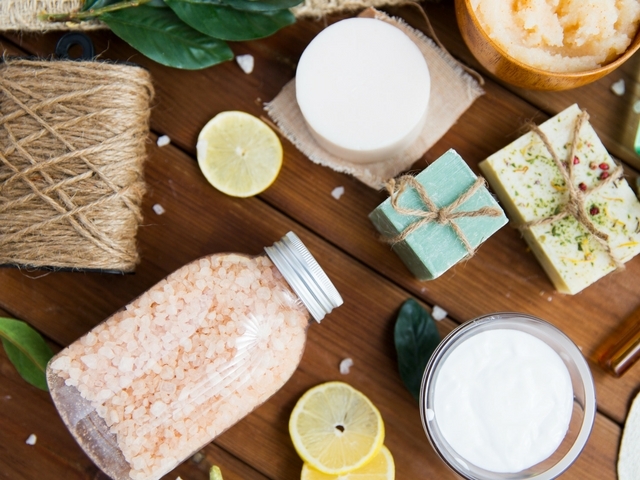 Today, we are constantly bombarded with all-natural and organic products telling us to eliminate the chemicals in our lives, however are all-natural and organic skincare products always better? Whether you make your own or purchase these green skincare products, you may be interested to hear a few surprising details about their benefits and possible side effects. One of the greatest challenges of all-natural and organic products is determining whether or not the product is partially organic, entirely organic, the difference between products that claim to be all-natural rather than organic, etc. It can be a bit of a mine field these days to select safe and truly natural or organic skincare products. It is best to only purchase from reputable sources rather than places like the trunk of a vehicle. Well, I suppose if they have good reviews online it might be worth a try. Making your own can be an exhaustive process, and you could damage your skin further by selecting the wrong ingredients. All-natural and organic products, in the general marketplace, are often significantly more expensive. Bacterial infections and allergies can develop from unsafe natural products and lead to expensive dermatologist visits if not treated properly. Organic and all-natural skincare products do not have to pass the same regulations as organic food. While the cons may seem a bit daunting and intimidating, most experts agree that while an increasing percentage of people are reporting allergic reactions to natural products, most people who select reputable products with safe ingredients will not experience any negative results. In fact, many people may have a quite positive experience with natural products. The beneficial implications on the environment are outstanding, and they are animal friendly. Such products are Ideal for individuals with allergies to certain chemicals. Many natural ingredients provide a superior soothing and calming effect for most people such as aloe, vitamin E, oatmeal, and licorice root. Specific plant-based products can provide additional protection from the dangers of the sun, as well as various cancers. Look for products with lycopene, quercetin, apigenin, vitamins A, C, and E.
One thing is certain, many people are passionate about this subject and more research needs to be conducted in the medical professional communities. Perhaps a balance of all-natural ingredients and safe chemicals is a good start for most people. Plenty of skincare products provide such a balance. Keep an eye out for chemicals in products that are known to be dangerous or offensive to the skin such as petrochemicals, sulfur, synthetic dyes, and various animal ingredients. Many professionals advise to use and introduce all-natural and organic products slowly, and test them on small areas of your skin, such as the inside of your forearm, for a few weeks prior to applying them to your face or body entirely. Also, be sure to use reputable products that have proven results and highly rated online reviews. As the all-natural and organic skincare market continues to catapult, much is still unknown about the benefits and risks. At the same time, very little research has been done on the potential negative effects of absorbing chemicals through the skin. So, for now, it is hard to say which is better or worse. If you choose to switch to all-natural or organic, it may be best to enter into the transition slowly to ensure the products you choose are safe and to prevent a catastrophic reaction to a natural or organic ingredient when applied. Have you ever had a bad reaction to all-natural or organic skincare products?